Government of india has issued notification for 6% Increase of Dearness Allowance for government employee. You can say it as Holi gift as it is going to benefit lot of government employees. Recently, government of india was on backfoot over Tax of EPF Withdrawal (which was rollback instantly) and than reduced interest rate on PF and all other small saving schemes. Update :- (on 9th April, 2016) Government of india has issued notification that increased Dearness Allowance to be paid in cash to all central government employees (starting from Jan, 2016). This notification should be applicable to all the civilian employees paid from defence service, armed forces personnel, railway employees, separate orders will be issued shortly from Railway ministry and Defence ministry. Read the full notification here. But today, surprisingly Government of india has increased Dearness Allowance by 6%. The total benefit of Rs.14,724.24 crore annually will be laid on Government. This change in DA will effective from 1st January, 2016 to 1crore Government Employee and Pensioners. Union Minister Shri Ravishankar Prasad has made this announcement after meeting with Officials today. Out of Rs.14,724.24 crore, Rs.6795.5 cr will be exchequer to current central government employee and Rs.7929.24cr will be exchequer to pensioners during 2016-17 period. - Total 50 lakh central government will get benefit of increased DA. - Total 58 Lakh Pensioners will get benefit of increased DA. 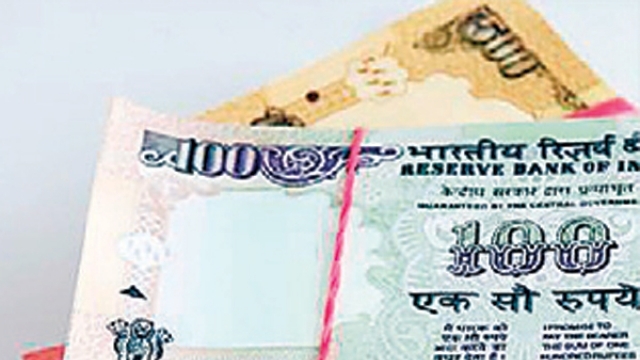 Currently, Dearness Allowance (DA) is 119% which will be now 125 % (effective from 1st January, 2016). Last year in September, 2015 Government has raised the Dearness Allowance, from 113 per cent to 119 per cent (6 per cent raise). What is Dearness Allowance (DA) and why/whom it is paid? Dearness Allowance is paid to government employee to fight against inflation, DA is calculated on employee's Basic pay. Every year, two times a year, government revise Dearness Allowance. In last 1 year, government revised and increased DA by 6 per cent (2 times). Check out month wise and year wise history of when and how much DA was hiked by Central government for their employees. India Shine wishes Congratulations to all central government employees and pensioners, for raised DA.